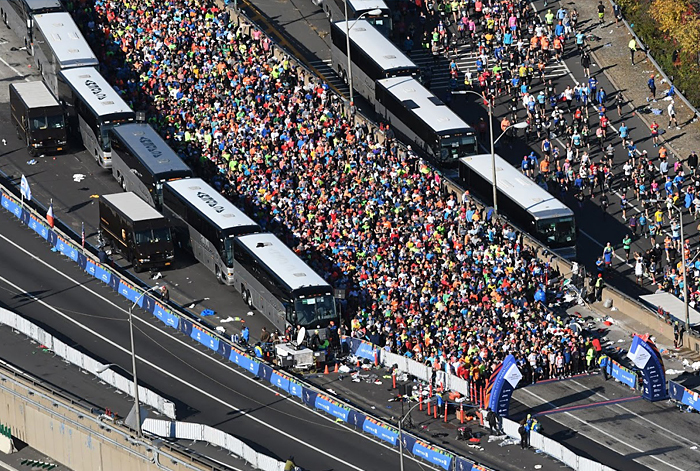 Applications for the 2018 New York City Marathon opened this week. 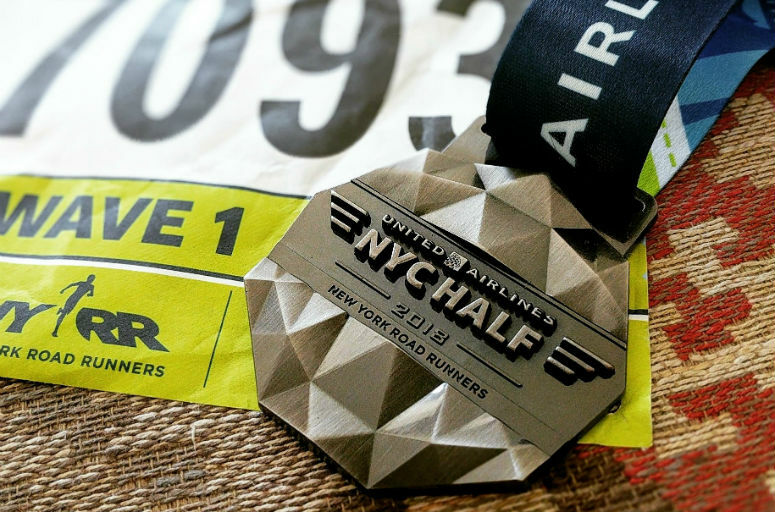 If running New York is on your bucket list then this post is for you. 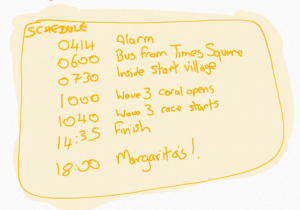 I’ve updated an early New York City Marathon review from 2016 to celebrate. Run, volunteer or cheer from the sidewalk in the New York City Marathon and you become part of a high-density, life-affirming celebration. The best of humanity emerges every November on the streets of the Big Apple for an unashamed display. It’s all on view; emotional scenes of joyful reunion; laugh-out-loud homemade banners; humbling self deprecation; the selfless commitment of thousands of volunteers. 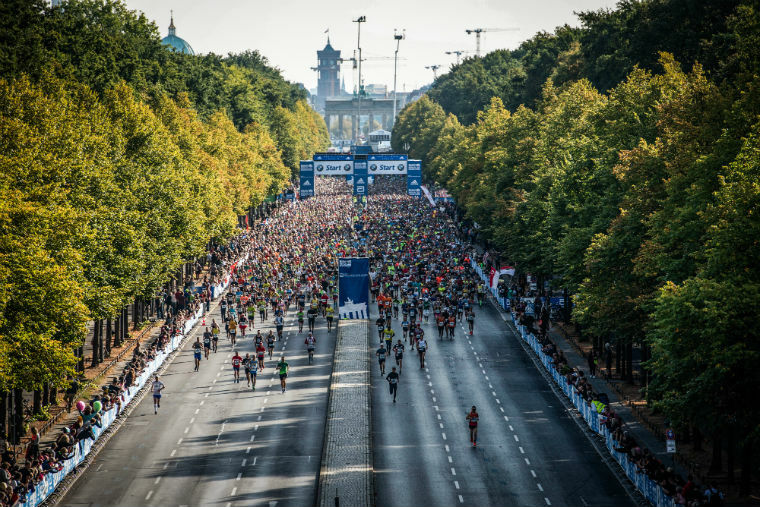 In 2016 there were 51,388 finishers, (98.8% completion), making the event officially the world’s largest marathon. People of all ages and backgrounds ran, striving, inspiring, and hurting their way through 26.2 miles, each of them with intensely personal stories of bravery, determination, and tribute. 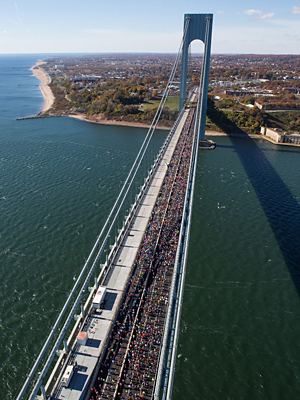 The New York City Marathon is rightly one of the most spectacular and iconic races. If NYC is on your must-run list grab a beverage and read on. The spectators make the New York City Marathon what it is. Locals gather in their neighbourhood communities across the five boroughs and turn out for one massive street party. The city buzzes as thousands of others fly in for the event. The numbers are impressive. One million spectators, over fifty thousand runners. Finding the right face in the crowd, in the right place, at the right time, amongst this many people does not happen by chance. You need a plan. Runners – it’s easier for you to find your supporters than it is for them to find you. Plan down to the street block and which side of the street your supporters will be on. Estimate when you’ll pass that point based on your race plan and starting wave. Spectators – use the mobile app to track where your runner is. Know what kit your runner is wearing. Anything that can help them stand out to you is good. For multiple locations, plan around the subway map and check on timings between stations. Runners – move to the correct side of the road early; runner safety is important so avoid sudden changes of direction. If you’re going to go in for a hug or a kiss look over your shoulder first. Don’t cut up runners behind you. You have a long slow walk through the exit pipeline after you cross the finish. The exits from Central Park and the surrounding streets are restricted so follow advice on the NYRR website and arrange a reunion spot away from the park. Study the exit map. (My post-marathon go-to is Frida’s, as it has the best frozen margarita’s and guacamole in town. Book ahead). New York Road Runners (nyrr.org) have good programs based on tons of finisher data with good coaches and a virtual trainer program. I found it hard to just pick a program from the many available and trust in it enough to stick with it. 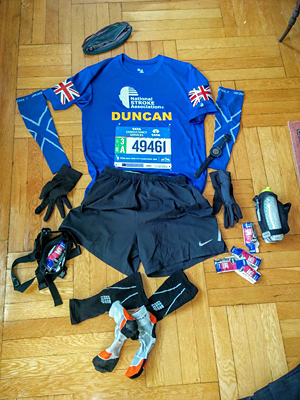 The NYRR program served me well on my first marathon. 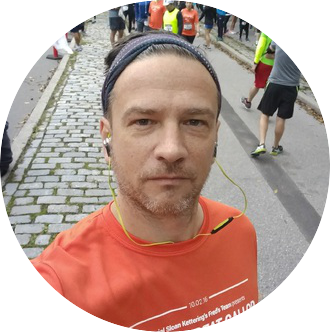 For my second, I found “Run Less, Run Faster” worked well given my injury prone past, though there is clear criticism of the method too. You get yourself there on the free Staten Island ferry or you sign up to take a bus from mid-town on the 90 minute trip. Once off the bus and past airport-style security you have several hours to kill (depending on your starting wave). This is a waiting game, so conserve energy, stay warm (and dry) and focus on the task ahead. The port-a-loo lines are long. Once you move into your starting coral there are more toilets and the ratio of people to potties is more favourable. The VN bridge is the biggest hill on the course, where mile 1 is all up hill to the midpoint and mile 2 is all down hill. You won’t feel this hill so don’t sweat it. A lucky two thirds of people run on the top deck, whilst the other third set out on the bottom deck where the GPS signal can be poor! It’s easy to go fast in Brooklyn with gentle downhills and long straights. The energy of the crowd is amazing and their signs are comedy gold. This is my favourite part of the course for crowds. Runners cross from Brooklyn into Queens up and over the Polaski bridge. To the left is the glorious Manhattan skyline. The uphill is short but more noticeable than the VN bridge. The crowds are quieter than in Brooklyn. You exit Queens into Manhattan through the Queensboro bridge. This one hurts. It’s only half the length of the VN bridge and not as steep, but the uphill feels so much longer; it just keeps going. The lower deck is an enclosed space with no spectators and it is eerily quiet, (so I have my tunes playing at this point). For the first time on the course you have only your own company. The usual advice is to prepare yourself as you leave the bridge and turn onto 1st Avenue, bracing to hit a wall of noise. They say runners blow their race plan here by going too fast. The excitement of being on Manhattan and the huge numbers of cheering supporters is the ruin of many a racer. But be patient, since you have to leave Manhattan, run another borough, and then come back again. There’s a long way still to go. There’s just 2 short bridges and a bunch of 90-degree turns in the Bronx. It’s well represented by the community and there’s a whole lot of calf rollers on offer to the weary. The finish is close now and you’re looking for Central Park, so don’t be fooled as you circumnavigate Marcus Garvey Park first. Eventually you reach the right turn on to 5th avenue, heading south alongside Central Park. If you’ve run a sound race plan you can make up places, for this is a steady and dreary climb. It’s not steep but by this point you feel every incline. Turn into Central Park at Engineer’s Gate on East 90th street. There can be bottlenecks here as crowd barriers are non existent. Be mindful about zig-zagging around people as you’ll be upping the effort level and running further. Mentally you’ve got good downhills ahead and you’re just one small incline away from the finish line. look for the event photographers along the course and smile for your picture. NYRR have several options for a guaranteed (non complimentary) place in the marathon. The lottery is good test of your true intent. If you get the “not this year” email then observe in the moment how you feel. Happy? Relieved? Bummed out? This will tell you how much you want to run New York. Some have good perks like heated tents and dedicated team busses to the start line. 9+1 guaranteed, non-complimentary, marathon entry. The NYC marathon is the premier event of the New York Road Runners (NYRR) club. 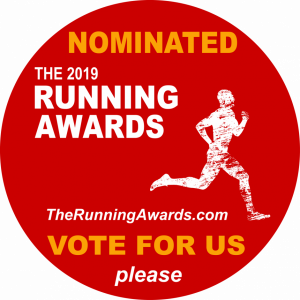 They run a full annual calendar of races and offer a 9+1 program leading to guaranteed (non-complimentary) entry to the marathon. 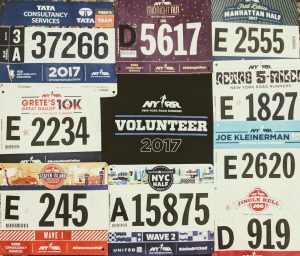 Run 9 of the NYRR qualifying events and volunteer at another. This is great opportunity for locals and has helped build an enormous sense of community that is part of the New York psyche. The time-standard qualifying window is the calendar year prior to the year you want to run, and the qualifying times by age category are listed on the NYRR website. How did you get on running the New York City marathon your first time?